German electronic musician Paul Kalkbrenner will release 'Guten Tag', his eighth album on November 30. One of Germany's national treasures, Paul's 'Icke Wieder' 2011 album concert tour sold over 125,000 tickets and 'Icke Weider' achieved Gold Status in Germany. Some of you may have first encountered Paul Kalkbrenner in the hit movie ‘Berlin Calling’ in which he played the lead character, an electronic music artist, a role he knows well. The movie received a full theatrical international release. Paul Kalkbrenner: “’Guten Tag’ is the title of my new album and my name is Paul Kalkbrenner. 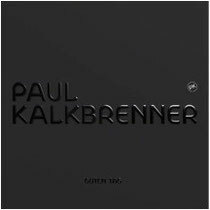 The 17 tracks that make up the album will be released on my label Paul Kalkbrenner Musik on November 30, 2012. I will present this album live in concert as well, but only in 2013, because I don't have any more time this year. I will be supported on some dates by Simina Grigoriu (Susumu) & Pan-Pot (mobilee)."